Perth is home to some of the world's top beaches. But the sparkling turquoise ocean and lengths of white sand are just the beginning. There's also an array of quirky places to swim, and we've rounded up the very best of these lovable oddities right here. We're talking Mother Nature-driven spas complete with jets, wildflower-edged freshwater holes supplied by gushing waterfalls and natural ocean swimming pools sheltered by coral reefs. 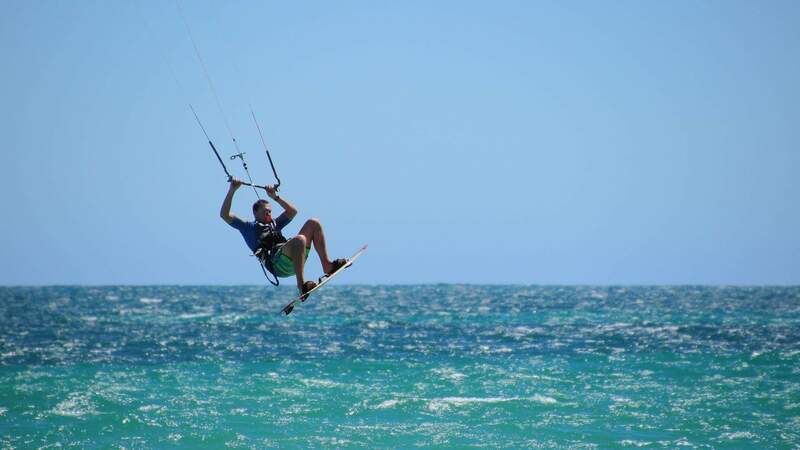 Whether you're the adventurous type seeking to try your hand at rock climbing or kite surfing or just prefer to lounge about in serene freshwaters, Perth has it all. Pack your snorkel and prepare to spot some vibrant marine life out at the Basin. 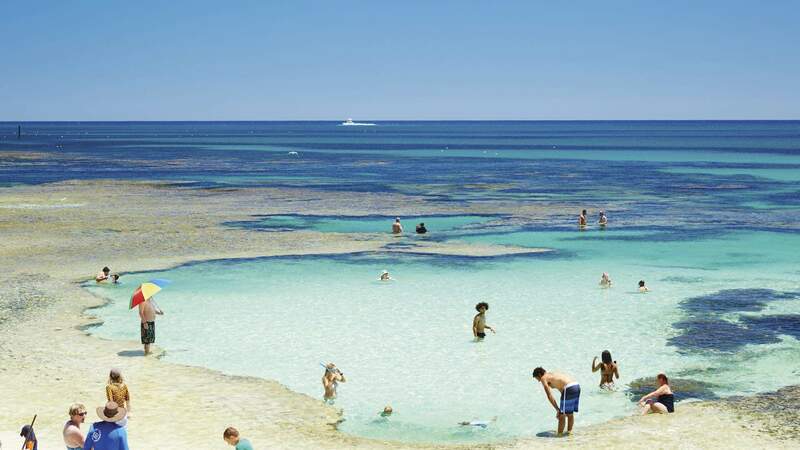 Located only a short ferry ride from Perth on Rottnest Island, the Basin is a natural swimming pool in the middle of a coral reef. The glassy waters are calmed by the surrounding shallow reef, making it ideal for beginner snorkellers or those wanting a gentle dip. To reach this splendid hole from the main settlement, take either Kings Way or Strue Road. 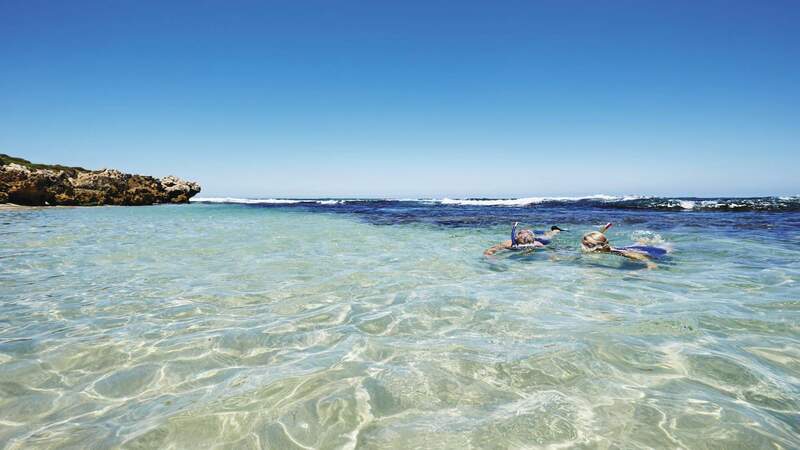 If you prefer a more sequestered spot, Rottnest is home to over 63 secluded beaches — have a wander and take your pick. Just north of the ferry terminal on Rottnest Island. Injidup Natural Spa is Mother Nature's answer to a jacuzzi. 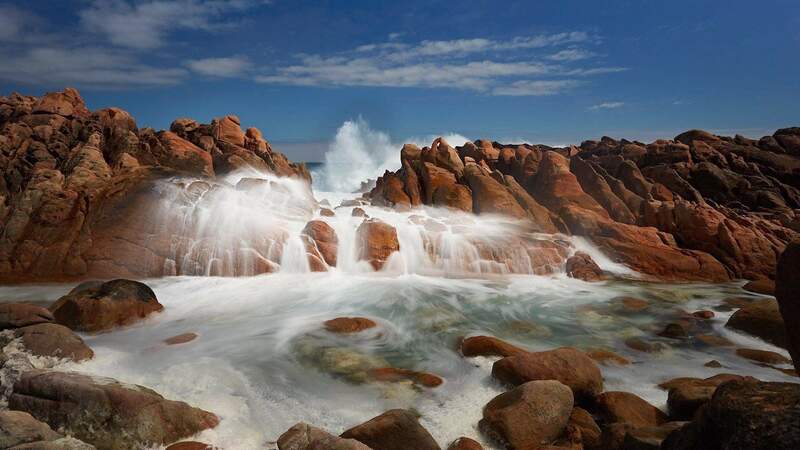 When the surf crashes against the large boulders enclosing the tranquil rock pool, foamy water is propelled through the gaps, creating natural spa-like jets. For climbing enthusiasts who don't like lounging around, the rocky terrain also makes for one daring playground. To reach the rock pool, head to the end of Wyadup Road in Yallingup until you reach the carpark, then it's just a small hike down the rocks. Be careful here if you choose to swim, and don't enter the pool if the ocean's rough — one massive wave could put an end to the fun. 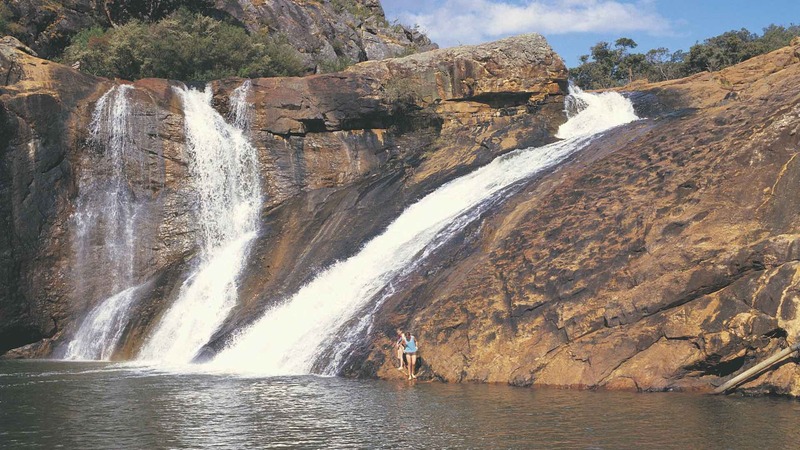 Serpentine Falls, on the border of the Swan Coastal Plain and the Darling Scarp, is fringed by thick bushland and polished granite, making you feel far from city life. 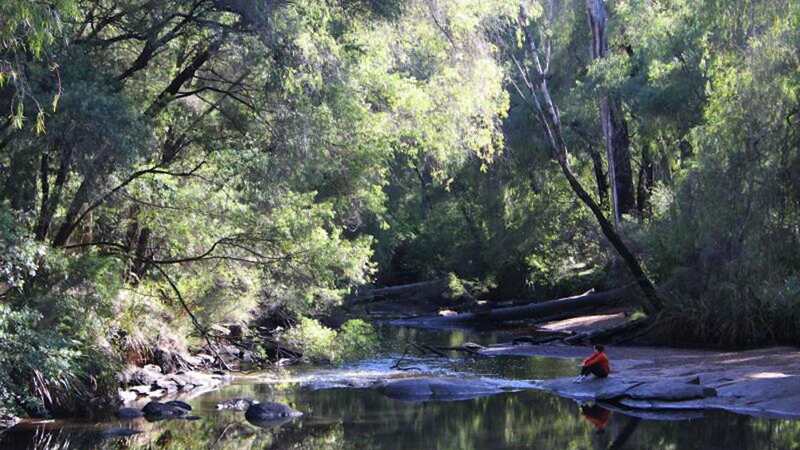 The falls are only an hour's drive southeast of Perth and boast a large freshwater swimming hole and picnic area frequented by kangaroos. From September to November, the wildflowers bloom in an arresting array of yellow and purple hues among the usually dry foliage. Be sure to check out the surrounding walking trails while you're here. An hour's drive southeast of Perth. Two hours south of Perth, and shaded by lofty eucalyptus, peppermint and jarrah trees in Wellington National Park are the serene waters of Honeymoon Pool. It's said to have been named during the war periods when soldiers found their base camp busy with couples on their honeymoon. There is a wooden platform built on the bank to launch yourself (or your canoe) into the depths of the pool. Campsites are also dotted around for those wishing to revel in this postcard point for a few days. To reach it, turn off Coalfields Highway onto Wellington Dam Road and then follow River Road to the pools. Pinnaroo Point is one of the quieter beaches in the Perth suburbs. 25 minutes' north of the city in the beach suburb of Hillarys, Pinnaroo Point is a spot many locals head to after work to unwind. The waves can be fierce at times and should be tackled only if you're a strong swimmer — although, this does make for perfect kite-surfing conditions, if that's what you're into. If not, the Point is a stellar spot to watch the action unfold from afar on the white sand. As the sun sets, stay and be greeted by a fiery sunset — a classic Perth phenomenon. You can even try to catch a fish or two at this beach. 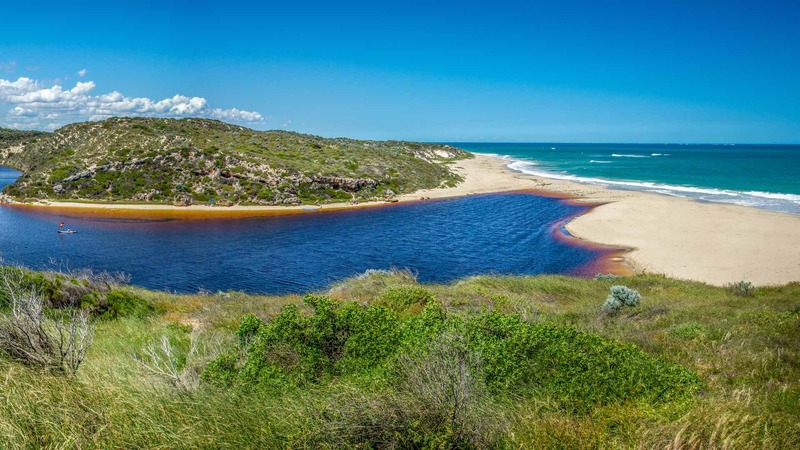 Only an hour's drive north of Perth, the Moore River Estuary is for those who can't decide between the salty surf and fresh rivers. A sandbar separates the two bodies of water and can break during high tide. During the warmer months, the estuary is a hub for water sports like kayaking and SUP. It's also known as Guilderton — a name it received after silver guild coins began appearing mysteriously on the shores. They were thought to be relics from the 1656 Vergulde Draeck shipwreck. An hour north of Perth. 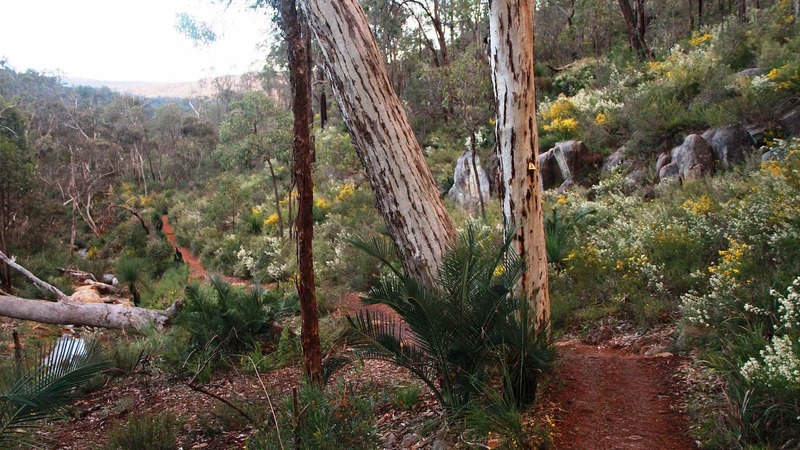 Rocky Pool can be found along the two-kilometre bushwalk from the Schipp Road Trail down the Piesse Brook in Kalamunda. The trail is made dangerous at times by loose gravel and steep rock, so be sure to wear sturdy footwear. 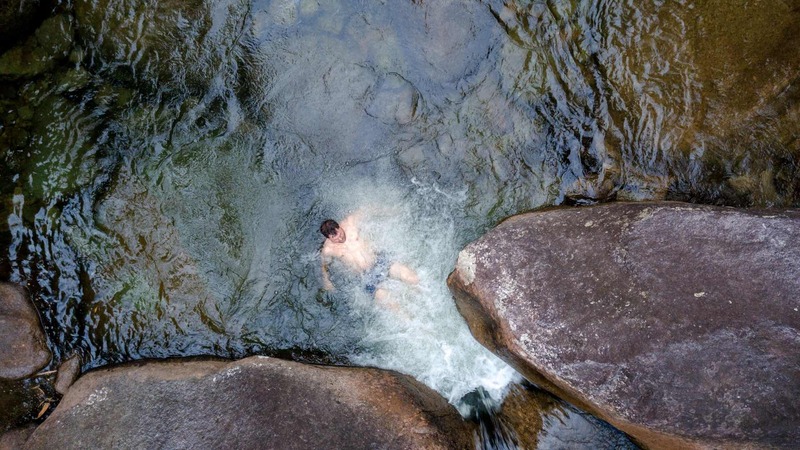 It's best to visit this natural swimming hole after rainfall when water levels are high. The ancient bouldering granite enclosing the hole fosters the formation of small waterfalls and rapids, which feed into the larger pool. Thanks to a reef formation so close to shore, Mettams Pool is an idyllic beach spot for a quick dip and snorkel before or after work. Nestled in the Perth suburb of Trigg, the pool is home to a variety of fish species, including red-lip morwong, banded sweep and bullseyes. You can also spot abalone and starfish hiding in the rocky crevices above the reef. West Coast Drive, just north of Trigg.